Michael Curran sounds like a kid. Excited. “I think it’s so cool,” he says of the Junior Junos happening at Kidsfest 2017. The Junior Junos are cool. 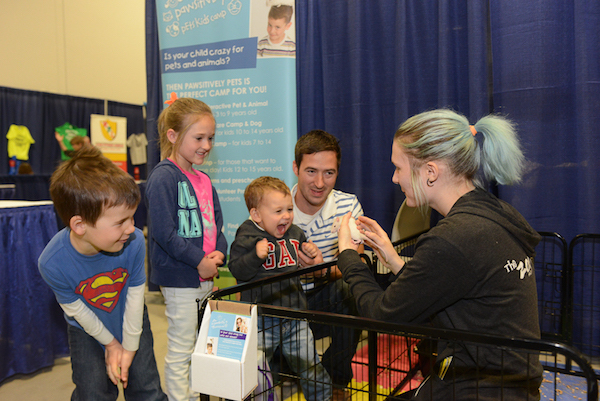 So is Kidsfest, the action packed two-day kids show and expo April 1 and 2 at the EY Centre. As part of Juno Week—the national celebration of music that’s happening in Ottawa March 27 to April 2—Kidsfest is hosting a red-carpet event for the younger set that will showcase nominees for Canadian Children’s Album of the Year. This star-studded live concert is happening Saturday, April 1 at 10 a.m. at 4899 Uplands Drive as part of Kidsfest festivities. To make the outing even more special, you can go the fancy-pants route and get Junior Junos VIP tickets. No formal wear required. for the 2017 Children’s Album of the Year Juno Award. After the music show, though, you’ll want to stick around. 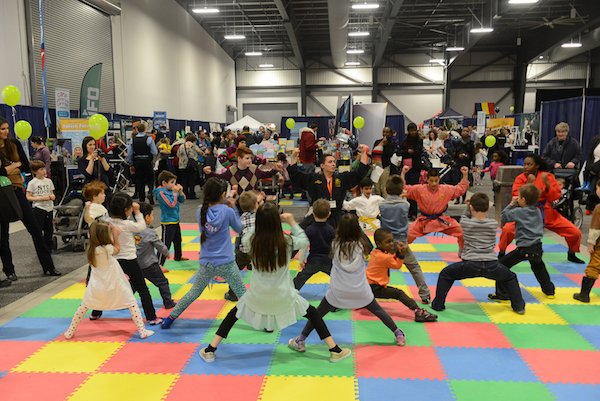 Kidsfest’s weekend schedule is full of activities, entertainment, interactive presentations, and fun and games for youngsters. Highlights include a petting zoo, giant in inflatables, Star Wars characters and super heroes. 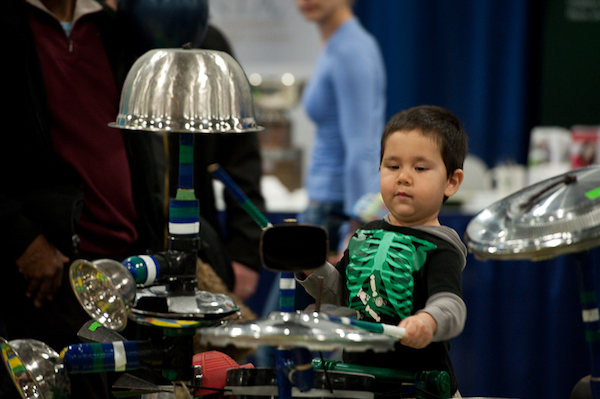 All ages are apt to be captivated by the hands-on learning activities presented by the University of Ottawa’s Maker Mobile and by Makerspace North. 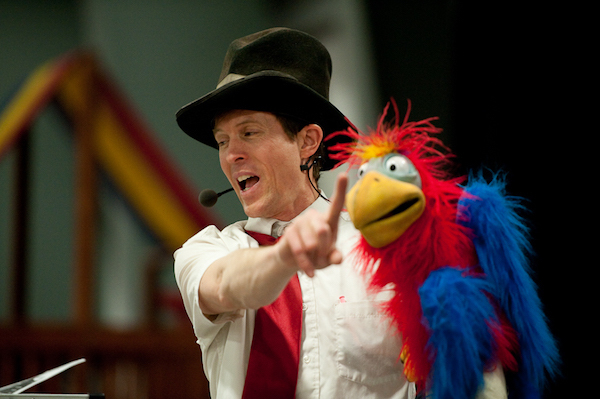 Kids will also get a kick out of Sunday’s main stage shows, at 11 a.m. and 2 p.m., featuring Mini TFO. A French educational TV program for children, Mini TFO teaches youngsters words, memory skills, songs, the alphabet and physical education. 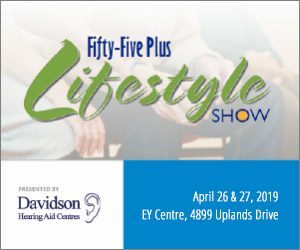 At the same time, parents will have face-to-face access to a wide variety of experts, service providers, community resources and local offerings from camps, clubs and sports programs to private schools and bicycle safety folks. If your youngster is gearing up to start school, you can have a conversation with a representative from one of the local school boards, and if you’re planning for the future, you can talk to somebody who’s knowledgeable about making educational investments. Wondering about bus safety? Gymnastics? White-water rafting this coming summer? Kidsfest has it covered. The best part of this event is you can have a really fun time with your kids, Michael says. When it’s time to go home, it’s not uncommon to see parents pulling their kids out of the room, he adds. But there’s more than a good time going on. Good things are happening too, by way of a raffle for Roger Neilson House. Established by the Ottawa Senators Foundation in honour of NHL coach Roger Neilson, the eight-bed pediatric palliative care facility is on the grounds of CHEO. 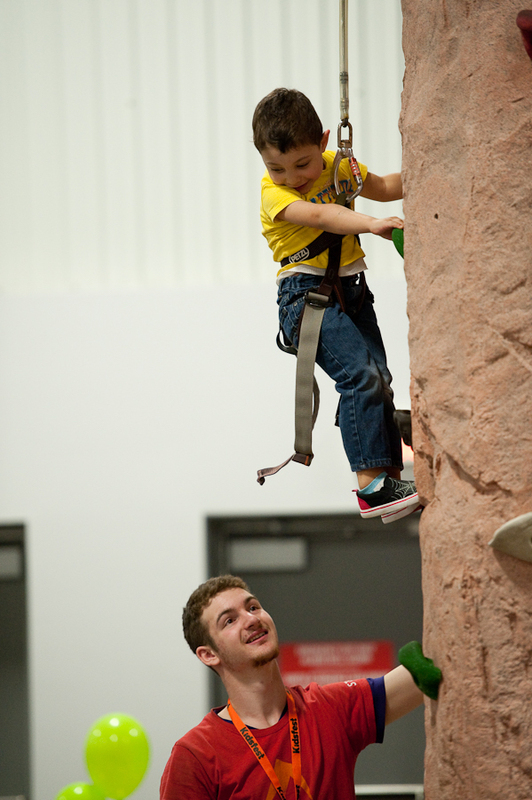 It provides end-of-life care for children and families, as well as respite and bereavement programs. e desire to support Roger Neilson House is personal for the Currans, who lost their son Emerson in 2013. And any support for the cause is most welcome. During Kidsfest, tickets may be purchased at booth 711.